« What are we feeding our kids? 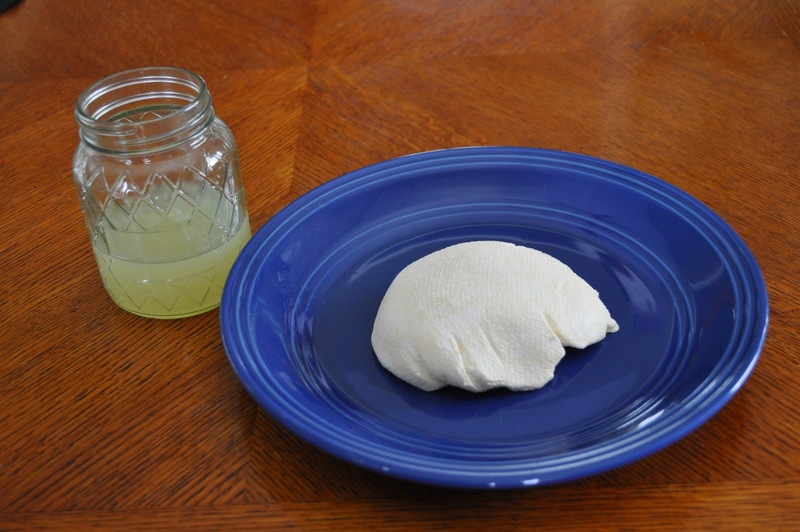 Labneh kefir cheese is simply drained kefir. This is how I get most of my fresh whey for all of my fermented fun experiments. I like the idea that all the probiotic yumminess of kefir will be part of my fermented veggies. First line a colander with a thin towel. I find a flat cloth diaper works excellent! Place colander over a bowl and dump in your kefir. Here I used a quart of kefir. 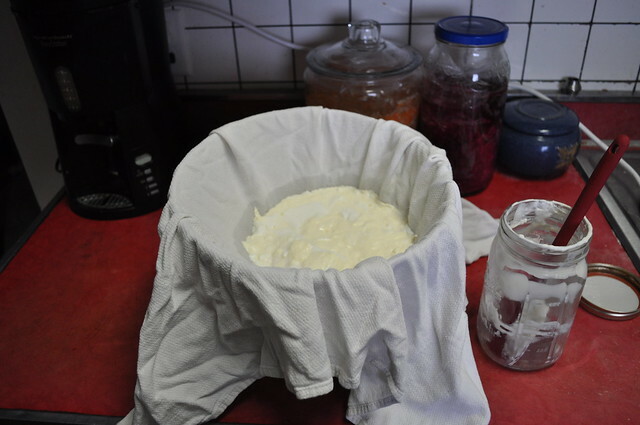 Let drip for about 8 hours or until kefir is the consistency of cream cheese. Reserve the liquid whey. It’s highly nutritious and can be used in lactofermentation, soaking grains/nuts/seeds or in baking. Hello Dear, thank you for all the information on your blog! I just started to make kefir cheese. before I used cultured buttermilk for making this soft cheese (I call it Quark :)). Anyways, how long do you ferment the kefir for cheese? After 24 hours my seems to be still very liquid. So I heat it a bit to separate the whey before draining it. It works fine, but sure is extra work and I like the idea off not heating the cheese at all. Thanks in advance. While this discussion looks like it has been over for quite some time, I thought I’d share my experience with kefir cheese. I drain my kefir using a coffee filter in a strainer over a small bowl for 24 hours. I use the whey in cooking instead of water. For example, making oatmeal or making cheese sauce for mac and cheese. As for the cheese, I get an improved texture by adding chia seeds along with my other favorite flavorings of garlic, rosemary, salt & pepper. I find the chia seeds make a great texture for dip and add to the already powerful nutrition of the kefir cheese.